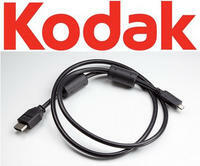 Kodak offers 70% OFF on Accessories. Includes Batteries & Chargers, Cables, Tripods & Mounts, AC Adapters, Lenses, etc. Shipping fee starts from $6.5.